Social Engineering has taken precedent in 2014, with some of the biggest data breaches ever recorded. 2015 is set to be another year filled with yet more attempts, yet more phishing emails hitting your business and having an adverse effect. Using the same techniques a malicious attacker would use, it is possible to trial and assess what impact an attack would have on your organisation. That is where The AntiSocial Engineer Limited can be a useful ally. The issue is simple. As authentication systems become more advanced, criminals will look for simpler ways to exploit an organisation. The inherent trust we place in people can be abused to leverage access to company information, customer information and financial access. 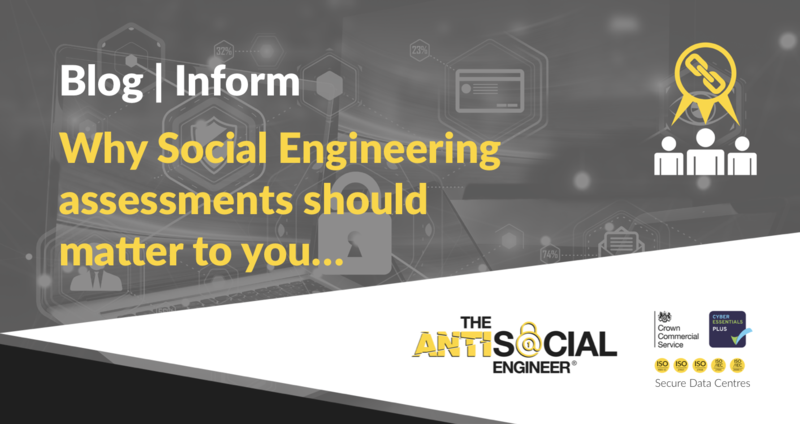 Whilst the concept of Social Engineering assessments is new, the techniques and tricks used by The AntiSocial Engineer Ltd and criminals have remained the same since the day your business opened its doors. It is vital businesses tackle this ever increasing problem.